Audrey and I have a lot of plans for 2018. We got together a few weeks ago and jotted them all down. 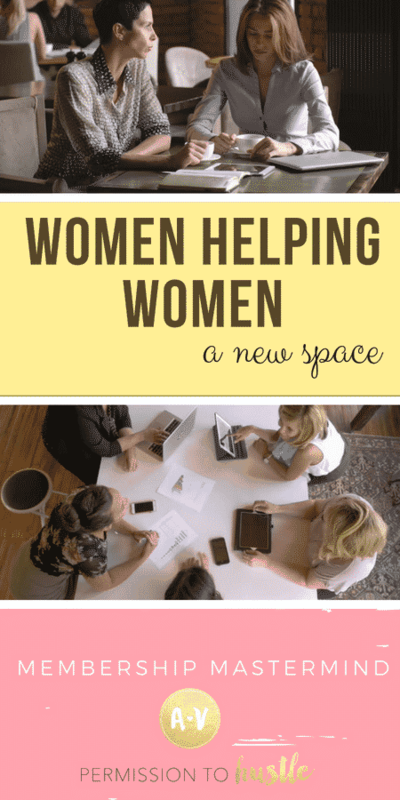 One line item that floated to the top of the list was to create small mastermind groups for women who were looking to get really specific about their business needs but who felt uncomfortable to talk about their bottom line within our larger Permission to Hustle group. We completely understand how it could be intimidating to talk about downfalls, failures and bottom lines when 3,000 strangers are watching. You can’t grow when you are in a space that large. It doesn’t feel safe. So, instead, we launched 25 person pods, hustle communities if you will, where teams can get to know one another and feel comfortable to talk about business specifics without lurking eyes. These membership masterminds are in full swing! We launched them last week and are already filling up our second pod. I cannot tell you how much information we are getting through within these smaller sessions. People are asking more questions, offering up more tips and generally plugged in stronger than we have ever seen before. If you are looking for a space like this, we want to invite you to our Permission to Hustle Mastermind. Once a month Google Hangout – 15 Minutes. Time to be posted at the beginning of each month. No make-up date. 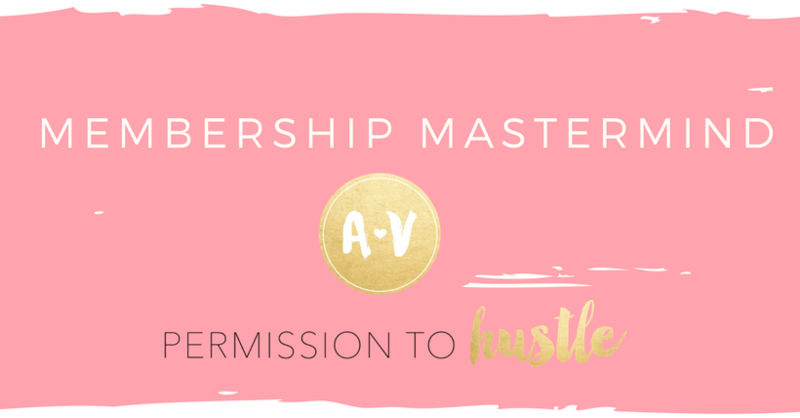 The Permission to Hustle mastermind has a membership fee of $17 a month. With this fee, you gain access to all past printables / videos created prior to your entrance. You have the ability to scroll down and read conversations had in your personal pod as well. The greatest asset is the ability to grow with a small group of men and women all looking for the same thing – to take their business to the next level. If you’d like to join the Permission to Hustle Mastermind, click here. Get started today! We can’t wait to hear what you are doing with your business and figure out how we can encourage you to soar. Don’t take our word for it. After just one day, we had the following testimonials posted in our pod. Lauren W. My $17 payment for the month just paid off with this info, Thank you! I can see I am charging too little for some stuff and others too much.